Ozhotels is a group of independently owned and non-related hotels, motels and serviced apartments providing discount accommodation across Perth Western Australia. Oz hotels allows you to deal directly with the hotels giving you the best possible rates for these Perth hotels and apartments. 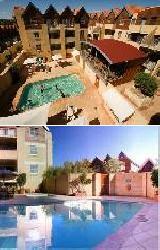 Book your Perth accommodation online directly with these hotels and save save save!!! Whenever you travel to Western Australia you will find an extensive range of accommodation in Perth from fully self contained serviced apartments and friendly B&Bs through to luxury hotels and budget motels. With such a wide range of place to stay it can be quite difficult and time consuming to find the most appropriate property for your specific needs. This is when you should seek out the help of an expert like OzHotels. Here you will be able to compare hundreds of different properties located all around Perth in order to find the right one for your requirements and travel budget. The main advantages of booking online with OzHotels is that you can book your travel up to 12 months in advance and that you will be able to get an extra discount off the already cheap rates the longer that you stay. 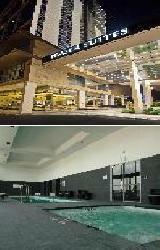 So when you next need to stay in Perth take advantage of this completely free and easy-to-use online booking service. The City Stay Apartment Hotel Perth is centrally located in West Perth, right in the middle of all of the best parts of Perth including the Kings Park botanical gardens, Northbridge entertainment precinct, Perth CBD and Subiaco oval. The 1 and 2 bedroom apartment accommodation at the City Stay Apartments is fully self contained and features an air-conditioned lounge room, full kitchen with microwave oven, fridge and stovetop, TV with in-house movies, DVD player and choice of bedding. When you stay at the City Stay Apartments Perth you will have be able to use the wonderful guest facilities which include a swimming pool with spa & BBQ area, gymnasium, playground with BBQ area, internet terminal at reception, tour desk and DVD, bike & board game hire. A great value for money home away from home is what the City Stay Apartment Hotel Perth provides business and leisure travellers with. 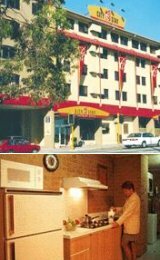 The Rendezvous Studio Hotel Perth Central (formerly Marque Hotel) has a range of hotel rooms available that are completely non smoking, affordable, modern & comfortable. They are located in the heart of the Perth CBD with many of Perth's attractions right on your doorstep including shops, cafes, bars & restaurants. if you are looking for comfortable and affordable accommodation in Perth then look no further than The Rendezvous Studio Hotel. The warm and friendly service at the Rendezvous Studio Hotel Perth makes it perfect for both business travellers and holiday makers alike. With views of the city skyline and the Swan River this discount Perth CBD accommodation is a great place to stay and is also just minutes from the Perth Convention and Exhibition Centre and a short stroll to magnificent Kings Park. The recreational facilities at the Rendezvous Studio Hotel include a sauna, fitness room, 24-hour reception, tour desk, internet kiosk, conference facilities and the Marque Restaurant and Bar. The Pensione Perth Hotel is a great value for money Perth accommodation property that is conveniently located in the heart of the city centre. With modern facilities and exceptional customer service the Pensione Perth Hotel is not only positioned a short walk from shopping malls, city attractions and the free central area transit (CAT) bus system but also has a selection of hotel rooms that feature all of the facilities to make you feel right at home. 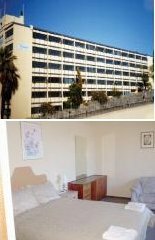 Business and leisure travellers will really appreciate the superb city location that this budget Perth accommodation provides. Located centrally on the corner of Hay and King Streets in downtown Perth the Rydges Hotel provides both business and leisure travellers with Perth accommodation in the ideal location. Adjacent to the West End entertainment and retail district the Rydges Hotel Perth features guest rooms with iconic large picture windows offering magnificent views of city centre or the Swan River. this luxury Perth accommodation has recently undergone a complete refurbishment including new bedding, furniture, LCD TV's with Foxtel & pay per view movies, mini bar and high speed broadband internet access. 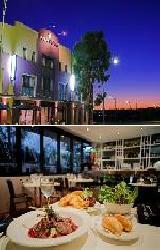 The Rydges Hotel Perth is also home to the award winning CBD Restaurant & stylish open bar area. 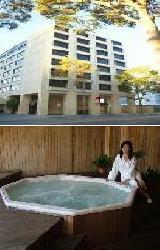 The Kings Perth Hotel is ideally situated right in the heart of the Perth CBD, on the corner of Hay & Pier streets. It offers a unique combination of convenience, comfort and value-for-money for both the leisure and business traveller who are staying overnight, on a 2-3 day stopover or for longer stays. The Kings Perth Hotel is positioned just minutes from the Hay Street shopping mall along with a huge choice of restaurants, clubs and theatres. Also a short stroll away is Barrack Street Jetty for Swan River sightseeing tours to Fremantle, Rottnest or Swan Valley wineries, as well as the many walking and cycling trails of King's Park and of course Perth's liveliest nightlife at Northbridge. Kings Perth Hotel offers a wide choice of spacious, comfortable budget, standard and superior hotel rooms, all of which are spacious, non smoking and serviced daily. Kings Perth Hotel facilities include a 24 hour reception, the Kings Art Cafe & Restaurant, a roof-top swimming pool, conference centre, guest laundry and tour desk. Enjoying million dollar views over the picturesque Swan River the newly refurbished Metro Hotel is an ideal Perth property for the budget conscious business and leisure traveller. If you are looking for spacious hotel rooms that are outside but within easy access to the Perth CBD then the Metro Hotel Perth with its hotel and fully self contained 1 bedroom serviced apartments is the place for you. The newly refurbished rooms at the Metro Hotel Perth are all stylishly furnished, much larger than the average hotel room and many feature a private balcony overlooking the scenic Swan River. Located nearby to this discount Perth hotel is Kings Park, the city centre, the WACA, Burswood Casino and many restaurants, shops and cafes. Whether you are staying for business or leisure, this affordable South Perth accommodation is the perfect base from which to see the city. The Mantra on Hay Perth Hotel & Apartments provides newly refurbished King Hotel Rooms as well as luxury 1, 2 and 3 bedroom self contained apartments. Located on the eastern side of the Perth CBD, Mantra on Hay is the ideal base for business and leisure travellers visiting the lively city of Perth. Within close proximity to several of the city's major local attractions the Mantra on Hay in East Perth also offers numerous guests facilities and services including lounge bar, business centre, conference centre, direct internet access, faxing facilities, guest laundry, gym & fitness equipment, lift, restaurant, room service, tour desk, indoor pool, 24 hour reception, babysitting service and daily housekeeping. perfectly located near Perth's CBD, Mantra on Hay is one of the best places to spend a relaxing break away in the West or convenient base for all of your business activities. The Broadwater Resort Apartments in Como, Perth have been luxuriously appointed and provide mid-priced Como accommodation that is ideal for families, couples, business travellers and holiday makers. It has a range of 1 & 2 bedroom self contained serviced apartments overlooking the beautiful Swan River in Como, and only minutes from the Perth CBD. 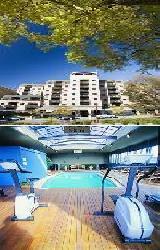 The Broadwater Resort Apartments Como in Como is close to everything that the city of Perth has to offer, as well as having a numerous guests facilities and services including free car parking, guest laundry, restaurant, sauna, outdoor swimming pool, tennis court, tour desk, bbq, indoor pool and baby cots. The Broadwater Resort Apartments Como also caters for corporate business travellers with Wifi access in all apartments and a range of business services available. Located adjacent to the Swan River, Mountway Holiday Apartments Perth provide fully self contained apartment accommodation in the heart of Perth. Each apartment is fully furnished and contains full kitchen facilities, private bathroom with shower and full-size bath, balcony, and all linen, blankets, crockery and cutlery is supplied. Situated between beautiful King's Park & Perth city, our central location means that the city centre is only a short walk away from this discount apartment accommodation, and it is also only a 4 minute walk to the Perth Convention Exhibition Centre. Whether you are visiting Perth for business or pleasure, stay in our range of standard, superior and deluxe apartments at affordable prices. 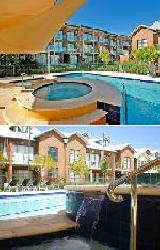 We look forward to welcoming you to Mountway Holiday Apartments Perth! Luxury apartment accommodation in East Perth takes on a whole new meaning when you stay at The Sebel Residence East Perth. This 4½ star apartment hotel is ideally situated in the heart of fashionable East Perth overlooking the majestic Swan River. Close by to The Sebel Apartment Hotel East Perth is the Northbridge entertainment area, Kings Park Botanic Gardens, WACA cricket ground, Burswood Casino, golf course and Perth ferry terminal (departure point for Swan River Cruises and Rottnest Island ferry). 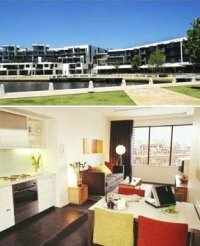 The rooms at The Sebel Residence East Perth consists of a range of self-contained studio, 1 and 2 bedroom apartments, all of which have been stylishly designed and furnished. Other features of this Perth accommodation include fully appointed kitchen, separate living area with furnished balcony, air-conditioning, DVD players, direct internet access and spa baths & magnificent river views in many of the apartments. At the Sebel Apartments the luxury does not stop with the room facilities. These affordable 1 bedroom apartments in East Perth also boast a gymnasium, outdoor heated lap pool, laundry facilities, 5 independently owned restaurants, bar and cafes on the complex offering travellers a variety of West Australian culinary delights. This makes it the perfect place to stay in Perth for both long and short stays. Perfectly situated only a short walk from the Swan River, Perth Zoo, Burswood Entertainment Complex & Curtin University the Quest South Perth is close to all the action. This affordable Perth accommodation provides business and leisure travellers with the choice of 1, 2 & 3 bedroom self contained serviced apartments. The Quest South Perth also features a wide range of modern amenities and services such as free car parking, outdoor swimming pool, tour desk, bbq and baby cots available for hire. The Quest South Perth Apartments caters for business corporate travellers with broadband internet cable connection in all apartments, secretarial services and meeting facilities. The Goodearth Hotel was the Winner of the 2008 Western Australian Tourism Awards for Standard Accommodation, which means that staying at this property not only assures of friendly, welcoming service but also quality Perth hotel rooms. The Goodearth Hotel offers fully self contained serviced apartments and budget hotel accommodation ideally located on Adelaide Terrace, Perth. The Goodearth Hotel is the perfect place to stay for families, groups, holiday makers, corporate and business guests, with the Swan River, Burswood Casino, Perth CBD, shopping and nightlife entertainment just a leisurely stroll away. The Goodearth Hotel also has a range of excellent hotel facilities including 24 hour reception, licensed restaurant, lounge/bar, free car parking, wireless Broadband internet, tour desk, day spa and salon. One of the best Perth hotels providing excellent value for money for business travellers and holiday makers with rooms and apartments to suit every budget. The Assured Ascot Quays Apartment Hotel is one of Perth's newest hotels in Perth and is conveniently located only 6 kms from the Perth CBD and close to the Perth airport. It offers luxury studios, 1, 2 and 3 bedroom self contained apartments that are set on the banks of the magnificent Swan River with city, river and parkland views. Every apartment has a view of the river as well as either an outlook to the city skyline or the tranquil surrounds of picturesque parklands. 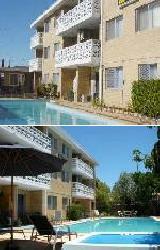 All of these Perth apartments are non smoking, innovative, spacious and well designed, boasting stylish decor and exceptional attention to detail throughout, separate spacious lounge dining rooms with reverse cycle air conditioning, stereos, fully equipped gourmet kitchens, full laundry facilities, wireless Broadband internet and private balconies. Assured Ascot Quays Apartment Hotel also offers a large range of hotel facilities including a 25 metre outdoor swimming pool on the rivers edge, landscaped gardens, bike hire, gymnasium, full business services, restaurant, bar and FREE car parking. Assured Ascot Quays Apartment Hotel Perth offers the convenience and luxury of a hotel with the practicality and spaciousness of an apartment. The Fraser Suites Perth is a luxury accommodation property offering studio & 1 bedroom self contained serviced apartments with breathtaking views & standout facilities. 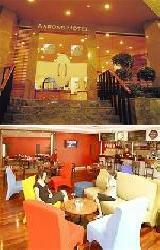 It is ideal for the discerning leisure guest and corporate business traveller. 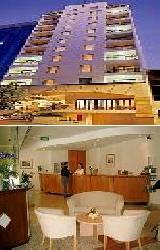 The Fraser Suites Perth provides all types of travellers with discount accommodation in East Perth. It also features a wide range of modern amenities and services such as lounge bar, conference centre, direct internet access, disabled facilities, guest laundry, gym & fitness equipment, lift, massage, restaurant, room service, sauna, spa, tour desk, garden, indoor pool, airport shuttle, security, 24 hour reception, babysitting service and daily housekeeping. Overlooking the Swan River in East Perth and within the Perth CBD, the Fraser Suites Perth is a 5-minute walk from the WACA Cricket Ground and a short drive from the Perth Convention & Exhibition Centre and the Burswood Entertainment Complex. 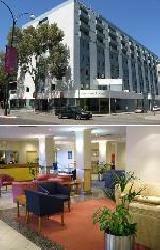 The Murray Hotel is a friendly and welcoming hotel centrally located in West Perth. 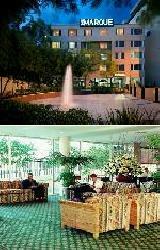 The hotel is situated opposite Princess Margaret Hospital and close to the businesses and medical practices of West Perth and Subiaco. The Murray Street Lodge Hotel Perth in West Perth is close to everything that the city has to offer, as well as having a numerous guests facilities and services including lounge bar, direct internet access, free car parking, guest laundry, restaurant, room service, outdoor swimming pool and daily housekeeping. The friendly staff are always available to help you with booking tours, car hire and general information for all of your business or holiday needs. Murray Street Lodge Hotel Perth offers fantastic value for money accommodation in an excellent Perth location, ideal for business and leisure guests alike. The Joondalup City Hotel Perth has friendly, professional service and budget rates that will ensure that your stay in perth is a pleasurable and affordable experience. This boutique budget hotel is conveniently nestled in a tree lined boulevard in the city centre north of Joondalup, which is the lively capital of the northern suburbs of Perth. The Joondalup City Hotel is the perfect gateway to discover many of the spectacular beaches along the idyllic Sunset Coast, Hillarys harbour and yacht club, AQWA and Rottnest Island. The Joondalup City Hotel offers stylish, modern, non smoking and spacious Executive Queen Rooms and Deluxe Twin Queen Rooms, with a level of comfort to satisfy the tastes and needs of travellers and visitors. The Perth Sunmoon Boutique Resort has a selection of hotel accommodation & 2 bedroom self contained furnished apartments that are ideally located 2 minutes walk from the famous Scarborough Beach in the heart of the Sunset Coast. Located only 15 minutes drive to the Perth CBD, the Perth Sunmoon Boutique Resort offers a great option for business corporate travellers requiring short or long term accommodation in the Perth North Suburbs as it is close to Osborne Park, Innaloo and Balcatta. 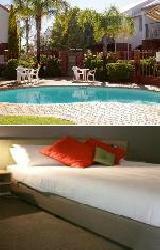 The Sunmoon Boutique Resort provides all types of travellers with discount accommodation in Scarborough. It also features a wide range of modern amenities and services such as lounge bar, business centre, conference centre, direct internet access, guest laundry, fitness equipment, lift, restaurant, room service, outdoor swimming pool, tour desk, 24 hour reception and daily housekeeping. The Scarborough Apartments prides itself on providing budget hotel accommodation, as well as 2 bedroom apartments & villas that are ideally located only 80 metres from the famous Scarborough Beach and the Indian Ocean; whilst still being only 15 minutes drive from the Perth CBD. The Scarborough Apartments in Perth is an excellent alternative to Perth CBD accommodation offering a beach resort lifestyle close to the city. The Scarborough Apartments in Scarborough is close to everything that the city has to offer, as well as having a numerous guests facilities and services including lounge bar, business centre, conference centre, direct internet access, guest laundry, restaurant, tour desk and airport shuttle. The Perth Ambassador Hotel is a non smoking hotel offering well appointed Perth accommodation ranging from budget hotel rooms through to discount 1 Bedroom Queen Suites. Prominently located on Adelaide Terrace the Perth Ambassador Hotel is the ideal place for corporate and leisure traveller looking for great value for money. 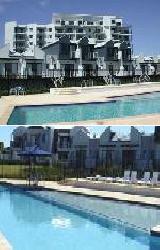 It is within minutes from the Perth Airport, close to the business precinct, shopping and entertainment districts. It is also an easy walk to the Perth Convention Centre and a short drive from Burswood and the casino, Swan Valley wineries and Perth's Sunset Coast. The Perth Ambassador Hotel has had an extensive refurbishment and provides some of the best value Western Australia accommodation going around. The Perth Ambassador Hotel offers 24 hour reception, tour booking desk, business centre, guest laundry, Cafe 196, lounge bar, spa, sauna, Antics Day Spa and on-site car parking. 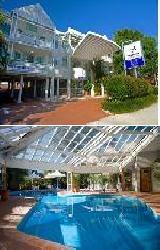 Hillarys Harbour Resort is Perth's premier Marina Resort. It provides guests with the choice of premium 1, 2 & 3 bedroom self contained apartments complete with balconies overlooking the magnificent Indian Ocean. Hillarys Harbour Resort is ideally situated right on the coast overlooking the ocean and provides all types of travellers with discount accommodation in Hillarys, Perth. It also features a wide range of modern amenities and services such as business centre, disabled facilities, faxing facilities, free car parking, guest laundry, sauna, outdoor swimming pool, bbq, airport shuttle and baby cots available. It is also close to activities such as golf, tennis, sailing, scuba diving, deep sea fishing and where the ferries depart for Rottnest Island. 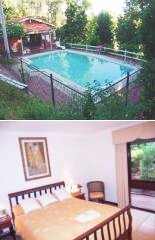 If you are looking for unique bed and breakfast accommodation in Perth then the Coranda Lodge B&B is ideal with its range of 2 bedroom suites and affordable B&B rooms that are centrally located close to the Perth CBD, Perth airport, cosmolpolitan Fremantle and the Swan Valley. Located in the charming in the heart of the Heritage Country, just 20 minutes south east of Perth Central Business District, you will be surrounded by a rich tapestry of natural beauty and historic charm. The Coranda Lodge B B in Haynes, Perth is close to everything that the city has to offer, as well as having a numerous guests facilities and services including direct internet access, free car parking, outdoor swimming pool, bbq, beautifully landscaped garden and business facilities such as faxing facilities and photocopying services. 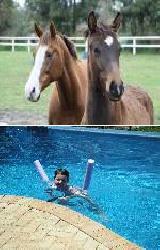 The Perth Horse Riding Centre is now located at Coranda Estate providing safe, quiet horses for all ages and levels of riding ability. 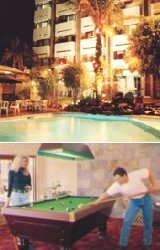 Aarons All Suites is an apartment style Perth accommodation that provides all the comforts of home with a touch of luxury and class. It is conveniently situated on the fringe of Perth CBD and is close to all the shopping malls, city attractions and the free central area transit (CAT) bus system. Not only does this Perth accommodation provide the perfect location in which to stay on your next visit to the West, but is also features some of the best facilities and service that keeps both business or leisure guests comeing back again and again. The Aarons All Suites has a range of rooms from studio apartments through to the large, family sized 2 bedroom apartments. The Best Western Ascot Serviced Apartments provides leisure and corporate travellers with newly refurbished studios, 1 & 2 bedroom self contained serviced apartments ideally located in Ascot. That places this quality Perth accommodation just 2 minutes from the Perth Domestic Airport and only nine kilometers to the Perth CBD. The magnificent Swan River is within walking distance of the Best Western Ascot Serviced Apartments, which is located on the Great Eastern Highway. The property is located in Ascot, which is close to everything that the city has to offer, as well as having a numerous guests facilities and services including direct internet access, faxing facilities, free car parking, secretarial services, spa, outdoor swimming pool, tour desk, bbq, garden and even baby cots available for hire. Business facilties include ADSL cable internet in all studios and apartments, a business centre with faxing facilities, photocopying service, secretarial services and internet kiosk. The Best Western Ascot Serviced Apartments has affordable luxury apartments close to the airport and city centre. Clarion Suites Mullaloo Beach Resort is located on Perth's premier Sunset Coast, just a 30 minute drive north of the Perth CBD, overlooking the spectacular Mullaloo beach. 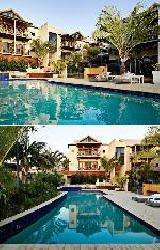 Clarion Suites Mullaloo Beach resort is a new property made up of boutique luxury 2 and 3 bedroom self contained apartments and huge 3 Bedroom penthouse suites. 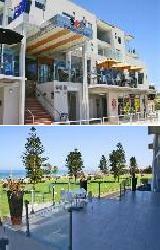 Clarion Suites Mullaloo Beach also features the popular Panorama Restaurant and Oceanside Bar. Guests staying in this luxury Sunset Coast accommodation can relax in the spa bath or sit on your private balcony overlooking the magnificent blue waters of the Indian Ocean and sandy beaches, which are just a short stroll away. Each apartment is designed to make use of stylish cafe doors that combine with the spacious balcony to provide the perfect place to view trendy Mullaloo Beach and some of Western Australia's best sunsets. Mullaloo is located only a few minutes from popular tourist attractions including Hillarys boat harbour, Sorrento Quay, AQWA (The Aquarium of Western Australia), Rottnest Island Ferry, world class golf courses, major shopping centers, cinemas and Arena Joondalup sporting facilities. Take in the sea breeze, oceanic atmosphere and relax on a romantic getaway, family holiday or business trip at Clarion Suites Mullaloo Beach accommodation resort. The fully self contained accommodation at the aptly named Budget Apartments Perth is some of the most affordable in the whole of Perth. Situated in Como, South of the Perth CBD this budget Perth accommodation in within close proximity to some of Perth's leading tourist attractions, either by foot or via public transport which is literally at the apartments front door. The Budget Apartments Perth is only 8 minutes from the Perth city centre, 15 minutes from Fremantle, 20 minutes from the Perth Interntional Airport and 10 minutes from Curtin University. These 2 bedroom apartments in Perth feature everything that a large family or business traveler would need and for added convenience the Budget Apartments also features Free car parking for its guests. Guests can treat themselves to unparalleled luxury, convenience and comfort at the Citadines St Georges Terrace. Perfectly located in the heart of the CBD this Perth accommodation is ideal for the international business trip and leisure vacation. Each hotel suite is designed with space, light and modern living in mind and are also fully furnished with the latest technologies. When you stay at the Citadines St Georges Terrace you can experience the vibrant city centre from this inner city retreat as well as make the most of the business facilities and extensive recreational facilities. Close by to this luxury Perth accommodation are numerous restaurants, entertainment, art and cultural destinations, parks and the scenic Swan River. After a day of work or shopping you can relax in the hotel's cafe or al fresco bar area, which is located on the ground floor. The rooms at Perth's most iconic beachfront hotel, the Rendezvous Hotel, is located right on the beach overlooking the soft white sands of Scarborough Beach and sparkling blue waters of the Indian Ocean. The Rendezvous Hotel Perth offers luxurious guest rooms and suites with panoramic ocean views and private balconies that are overlooking the Indian Ocean or surrounding suburbs. All of these Perth rooms are spacious and decorated in contemporary style with quality furnishings and modern amenities. The recreation facilities at the Rendezvous Hotel include a heated outdoor lagoon-style swimming pool, spa, kid's wading pool, two floodlit tennis courts, fully equipped fitness centre and the Vanilla Face & Body Spa providing a full range of health spa treatments. There are also 4 onsite dining venues, conference facilities and a business centre at this luxury Scarborough accommodation property. The location of the Rendezvous Hotel Perth is ideal, next to Scarborough's white sand surfing beach, only a few blocks from shops and restaurants and 12 kms northwest of the Perth city centre. A rendezvous with exceptional luxury, style and service at the Rendezvous Hotel Perth, on the Sunset Coast in Western Australia. Sorrento is ideally located on the beautiful Sunset Coast and not only features one fo the best beaches in all of Western Australia but also provides magnificent sunsets over the blue waters of the Indian Ocean. 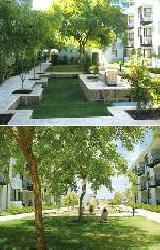 The Sorrento Beach Resort provides quality apartments only 76 steps to this white sandy beach and the famous Sorrento Quay in Hillarys Boat Harbour. If you tire of the beach guest at the Sorrento Beach Resort can always just relax and laze by the outdoor swimming pool, sauna, spa and BBQ area. With Sunset Coast accommodation ranging from discount studio apartments right through to family sized 1 and 2 bedroom fully self contained apartments the Sorrento Beach Resort is the perfect holiday accommodation in Perth for your next stay in WA. Situated in Lesmurdie amidst the tranquil surrounds and scenic beauty of nearby bushland, Falls Retreat is the ideal Perth bed and breakfast location for those who just want to take time out for themselves and be pampered. Surrounded by tall trees and lush gardens, and overlooking the large, centrally located swimming pool, guests can enjoy the sights and sounds of nature all around them. A grapevine covered pergola with outdoor setting and gas BBQ is an ideal area for guests to relax in and perhaps enjoy a glass or two of wine. A super cooked breakfast with home baked bread and preserves, freshly squeezed juices, plunger coffees and the best of teas is included in the tariff. Spoil yourself soon. The Indian Ocean Hotel Perth is located only 300 metres from the brilliant Scarborough Beach on Perth's spectacular Sunset Coast. 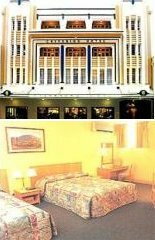 The Indian Ocean Hotel offers a variety of Perth accommodation ranging from budget economy hotel rooms and affordable standard hotel room to spacious deluxe hotel rooms. With free car parking, BBQ area, swimming pool and heated 8 seater spa the Indian Ocean Hotel will make your stay in Perth both relaxing and enjoyable. This affordable Scarborough accommodation provides the ideal base from which to explore all that Perth has to offer including Hillary's Boat Harbour, a day trip to Rottnest Island, King's Park, the Perth CBD, Swan Valley, Guildford and historic port of Fremantle. With stunning ocean views from ground floor patios or 1st floor balconies the Ocean View Motel offers real value for money hotel rooms just a stones throw away from the beautiful white sandy beach of the sunset coast. 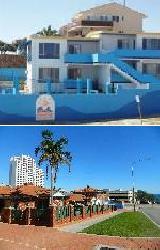 The Ocean View Motel is located in peaceful North Beach, only 3kms from the Aquarium of Western Australia and 15kms from the Perth CBD. The discount motel rooms at the Comfort Inn Ocean View are fully serviced, air-conditioned and feature an ensuite bathroom, kitchenette with microwave and they also have a balcony with magnificent ocean views of the Sunset Coast. 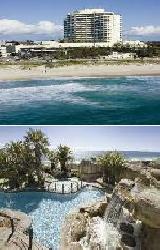 A short walk away from the Ocean View Motel Perth are shops, restaurants and the sandy beach where you can swim, surf, fish and most importantly relax with family and friends. 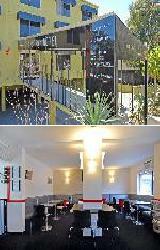 Wonderful budget motel accommodation in West Perth close to all of the city attractions. 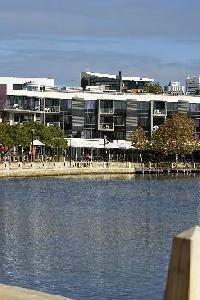 The Assured Waterside Apartments is located short stroll from the magnificent Swan River in cosmopolitan South Perth and facing onto the Matilda Bay Yacht Club. The Assured Waterside Apartments offers spacious, fully self-contained 1 & 2 bedroom self contained apartments with water views just moments from the Perth CBD. In these affordable South Perth apartments the view of the city skyline is breathtaking, and just a short stroll away are the many attractions of South Perth including excellent restaurants, cafes, bars and boutiques. These distinctly Western Australian apartments are close to many great attractions, including the Perth Zoo, and the Mends Street Jetty for a peaceful ferry ride across Perth waters to the lively Perth city centre. The Assured Waterside Apartments provides comfort and elegance complete with facilities such as free secure car parking, landscaped gardens, BBQ facilities, breakfast packs, tour desk, daily housekeeping and security. The Verandah Perth Apartments offers brand new luxury apartment accommodation in Perth only minutes walk from the Northbridge cafe strip & a short stroll to the Perth CBD. Antonas Verandah Apartments has modern and spacious fully self contained apartments that feature the best quality fittings and furnishings and are also in a great central location tucked off Aberdeen St in Northbridge. Featuring large 1 and 2 bedroom apartments this Perth property has been specifically designed for living in and not just for sleeping. Each bedroom has its own full size private ensuite bathroom as well as a large furnished balcony, many of which have great city views. 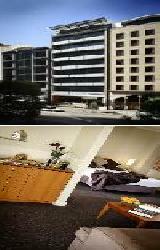 The Verandah Perth Apartments is just a short walk from fantastic restaurants, cafes, pubs and the CBD. Stay and play in the Northbridge precinct or one of the many upmarket lively pubs or bars. Corporate clients and holiday makers will really appreciate the closeness of this Perth accommodation to all of the city's major attractions, public transport, Kings Park and the Swan River. The quality hotel rooms provided by the Four Points By Sheraton Perth (formerly the Citigate Perth) is perfect for the busy corporate executive and the discerning holiday traveler. 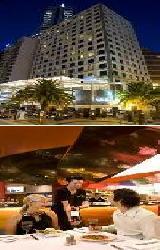 The Four Points By Sheraton Hotel Perth is situated in the 'West End' district of Perth, close to the city centre and only a short walk from the nightlife entertainment district of Perth, Northbridge. With a range of standard hotel rooms and executive hotel suites the Sheraton Perth not only has a room to suit every budget, but also has a range of hotel facilities that will make your accommodation in Perth enjoyable, including a roof top heated swimming pool, gymnasium, sauna, restaurant, room service and business centre. 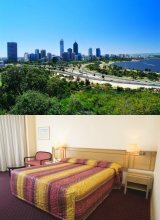 The magnificent Kings Park Botanical Gardens and Swan River are only a few minutes drive from this quality Perth hotel accommodation. The Criterion Hotel Perth offers discount hotel accommodation with the best of both worlds - the old and the new. 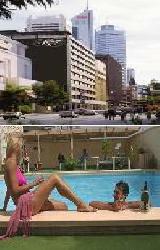 Formally known as the Regatta Hotel Complex, this CBD hotel has undergone extensive re-modelling and refurbishing. It is Perth's oldest hotel with an accommodation licence since 1840. In contrast with the heritage grandeur of the building, the rooms reflect a fresh new concept in hotel room standards in Perth with 69 generous, spacious and well-appointed rooms. 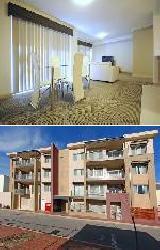 The Brownelea Holiday Apartments are clean, comfortable and conveniently located on the Perth city fringe. They provide budget apartments at a great price with a fully equipped kitchen, reverse cycle air conditioning, large swimming pool, spa, BBQ facilities, entertaining area, free internet access & free undercover car parking. Ideally located in Northbridge, the Brownelea Holiday Apartments are close to restaurants, cafes, pubs & many other entertainment venues, yet are still only 1km from the Perth CBD and 1.5km to the Perth Central Railway Station. The Brownelea Holiday Apartments Perth is the perfect Northbridge accommodation base from which to enjoy the city's countless attractions, which makes it ideal for long or short term stays for couples, holiday makers and corporate business guests. 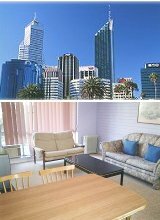 The city of Perth and the surrounding region has many different places that are ideal for long or short term stays. This includes the Beach Manor B&B, Duxton Hotel Perth, Hyatt Regency Hotel, InterContinental Burswood Resort, Medina Grand Apartments, Parmelia Hilton Hotel, Outram Small Luxury Hotel Perth, Broadwater Pagoda Resort, Crowne Plaza Hotel, Sheraton Hotel Perth, Esplanade Hotel Fremantle, Fremantle Holiday Accommodation, Mercure Hotel Perth, Saville Park Suites, Regal Apartments Perth, Mont Clare Boutique Apartments Perth, City Waters Apartments and the Statton CBD Apartments Perth. In order to book in at these or any of the other accommodation in Perth then click here to make an enquiry.